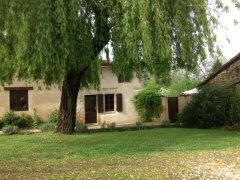 Nouvelle-Aquitaine, Charente, 15 minutes from Ruffec. Nouvelle-Aquitaine, Charente, Charante St Claud. 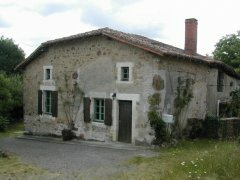 Nouvelle-Aquitaine, Charente, 1km from Aubeterre sur Dronne. 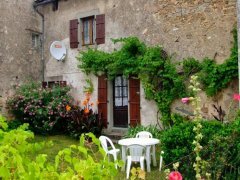 Pretty cottage close to Aubeterre, South Charente. 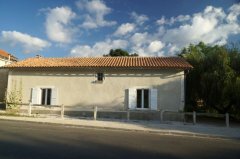 Nouvelle-Aquitaine, Charente, Laprade village center. Nouvelle-Aquitaine, Charente, close to Aubeterre. 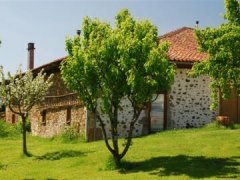 Unique 1 bedroom detached farmhouse in the center of a small village. 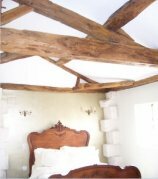 Recent renovation, retaining history and original features such as beamed ceilings, exposed stones, fireplace etc. 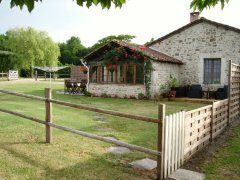 Nouvelle-Aquitaine, Charente, Quiet hamlet near Turgon. 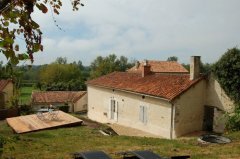 Nouvelle-Aquitaine, Charente, 4 km from Ruffec. Impressive 16th century house in large garden, lots of birds, squirrels, etc, many trees and pool. Secluded in small hamlet. Plenty of parking. Not available for summer lets. Currently let November 2018 to April 2019. 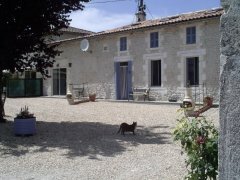 Nouvelle-Aquitaine, Charente, 500m from Benest. 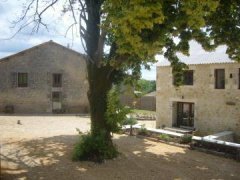 Re-built in 2016, we have just one 2-bedroomed cottage next to our home in a small hamlet. Ideal for those who like peace and quiet. 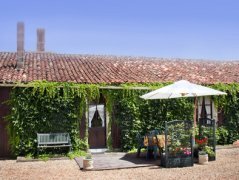 Within a 15-minute walk to either the small village of Benest, or down to the river Charente. 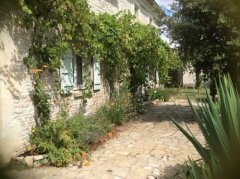 Hazelnut cottage is part of a longère (a French farmhouse) and shares a huge garden with an orchard. 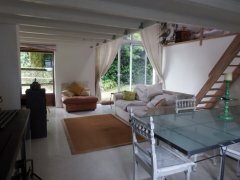 Ideal for those who like to sit and relax in peace and quiet, bird-watchers or those who like to walk through country lanes. 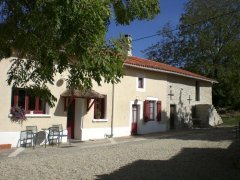 Nouvelle-Aquitaine, Charente, 6 kms from Ruffec. 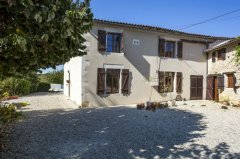 A rustic 2 bedroom country cottage, newly renovated and refurbished to a high standard, situated in the village of Salles De Villefagnan, approximately 5km from the historic villages of Ruffec and Verteuil. The cottage overlooks farmland and is located on the outskirts of the village in a peaceful setting, ideal for those looking for a relaxing getaway from the hustle and bustle of city/town living. Parking is available at the cottage for one, maybe two cars (depending on size). Bed & Breakfast is available upon request. A breakfast basket can be supplied on request for the duration of your stay (if required) at a cost of €5 per person. Additional meals can be supplied but must be requested in advance. The ancient city of Angoulême is our nearest major city with TGV rail links to the UK, is just 20 minutes drive. Les Chevilloux is well placed for visits to famous Cognac distilleries such as Otard, Hennessey, Courvoisier, Remy Martin and others. The Bordeaux vineyards famous for fine wines is a but a drive away. Nouvelle-Aquitaine, Charente, 10 kms from Confolens. 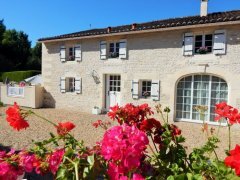 Nouvelle-Aquitaine, Charente, 10 mins from Rochechouart. 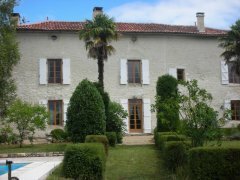 Nouvelle-Aquitaine, Charente-Maritime, 15 kms from Jonzac. Nouvelle-Aquitaine, Charente-Maritime, 15 kms from Cognac. 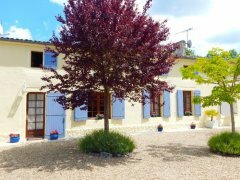 Nouvelle-Aquitaine, Charente-Maritime, 15 mins from Saint Jean d'Angely. 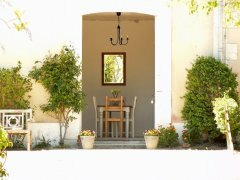 Palm Tree cottage is a Charentaise style gîte in the heart of the countryside of southwest France. It has two twin /double bedrooms and comfortably sleeps 4. Perfect for a family holiday or romantic getaway for two. The cottage has a beautiful salon which has a sitting, eating and cooking area with most mod-cons including 32" flat screen and Wi-Fi.